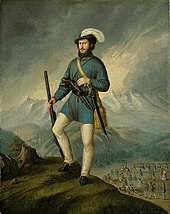 Great Moravia, the Great Moravian Empire, or simply Moravia, was the first major state that was predominantly West Slavic to emerge in the area of Central Europe, chiefly on what is now the territory of the Czech Republic, Slovakia, Poland, Hungary, and Serbia (Vojvodina). The only formation preceding it in these territories was Samo's Empire known from between 631 and 658 AD. 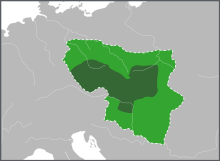 Great Moravia was thus the first joint state of the Slavonic tribes that became later known as Czechs and Slovaks and that later formed Czechoslovakia. 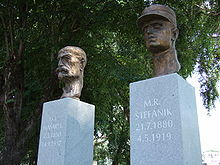 Since 1949, Slovakia has been divided into a number of kraje. Their number, borders and functions have been changed several times. 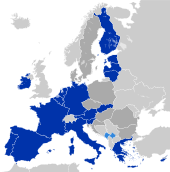 There are currently eight regions of Slovakia and they correspond to the EU's NUTS 3 level of local administrative units. 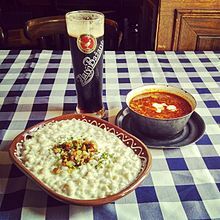 Each kraj consists of okresy. There are currently 79 Districts. 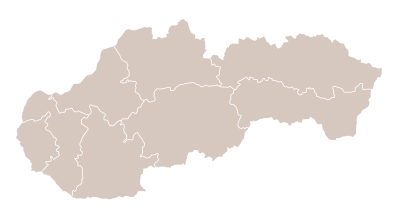 The Trnava Region is one of the eight Slovak administrative regions. 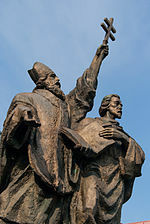 It was established in 1996, before which date most of its districts were parts of Bratislava Region which was established on the founding of Czechoslovakia in 1923. It consists of 251 municipalities, from which 16 have a town status. It is the second most densely populated region in Slovakia. 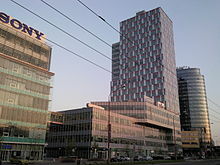 The Bratislava Region is one of the administrative regions of Slovakia. Its capital is Bratislava. The region was first established in 1923 and its present borders exist from 1996. 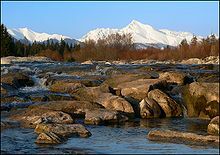 It is the smallest of the eight regions of Slovakia as well as the most urbanized. 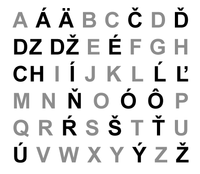 Upper Hungary is the usual English translation of Felvidék, the Hungarian term for the area that was historically the northern part of the Kingdom of Hungary, now mostly present-day Slovakia. The region has also been called Felső-Magyarország. 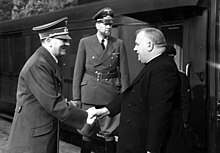 The (First) Slovak Republic, otherwise known as the Slovak State, was a client state of Nazi Germany which existed between 14 March 1939 and 4 April 1945. 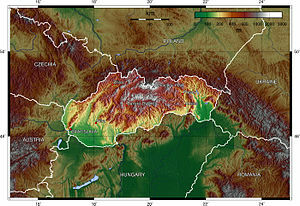 It controlled the majority of the territory of present-day Slovakia but without its current southern and eastern parts, which had been ceded to Hungary in 1938. The Republic bordered Germany, constituent parts of "Großdeutschland", the Protectorate of Bohemia and Moravia, Poland – and subsequently the General Government – along with independent Hungary. The coat of arms of Czechoslovakia were changed many times during Czechoslovakia’s history, some alongside each other. This reflects the turbulent history of the country and a wish to use appropriate territorial coats of arms. Tourism in Slovakia offers natural landscapes, mountains, caves, medieval castles and towns, folk architecture, spas and ski resorts. 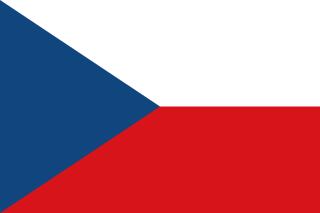 The First Czechoslovak Republic was the Czechoslovak state that existed from 1918 to 1938. The state was commonly called Czechoslovakia. 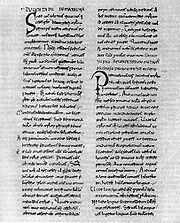 It was composed of Bohemia, Moravia, Czech Silesia, Slovakia and Subcarpathian Ruthenia. This is a survey of the postage stamps and postal history of Slovakia.